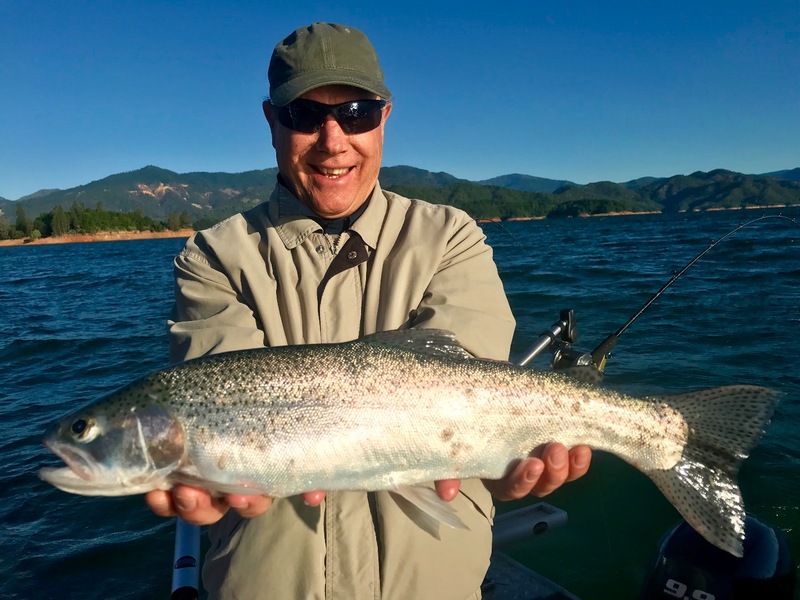 Shasta Lake boils with bows! Today I fished Shasta Lake with the Panuska family. What a great day we had catching big rainbow trout in beautiful weather. The lake is hitting prime time for big rainbows so don't delay! We book small party trips and can do big group trips as well. 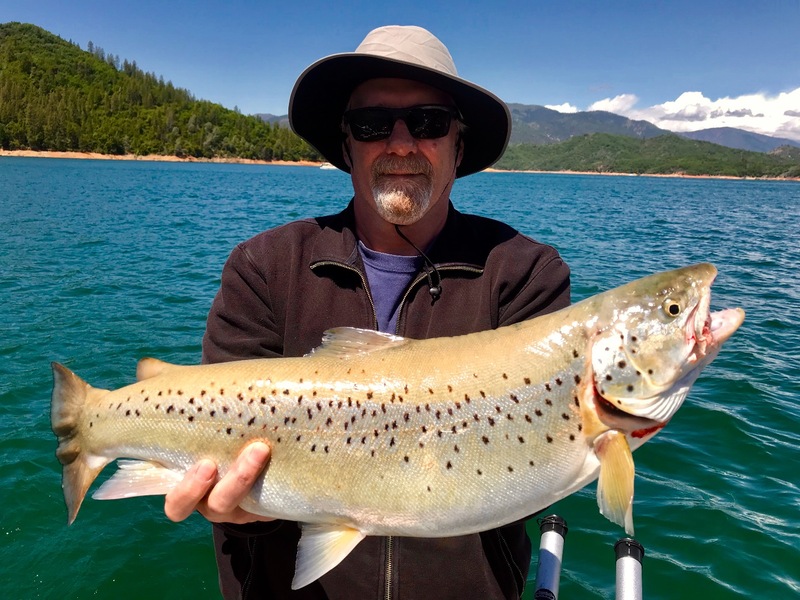 With a one fish limit for Sacramento River King salmon this year, fishing Shasta Lake and loading up on red meat rainbows really makes sense! Thank you for supporting a Veteran owned business, Jeff Goodwin Guide Service.